Darul Hadis Latifiah (Formerly Madrasah-e-Darul Qirat Majidiah) was established in 1978. 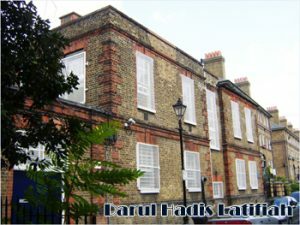 Darul Hadis Latifiah (Formerly Madrasah-e-Darul Qirat Majidiah) was established in 1978 as an Islamic education centre by a group of concerned parents and community leaders, under the guidance of Hazrat Maulana Shah Sufi Muhammad Abdul Latif Chowdhury (Fultali Saheb), in order to meet the growing but largely unmet wishes of local Bangladeshi Muslim parents to educate their children in Qur’an and Shariah. 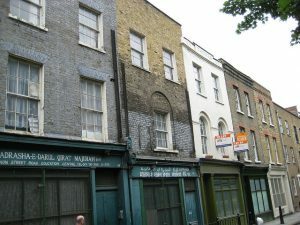 Classes were first held at a rented property in New Road, London E1. Solely through private donations, the local community leaders raised sufficient funds to buy the property, with the aim of establishing a permanent facility for the community where Islamic studies and Bengali (mother-tongue) classes would be held. Since 1981, by the grace of Allah Subhanahu wa Ta’ala and thanks to the generous support of the Muslim community, the present buildings at 1 Cornwall Avenue London E2 0HW ( previously 46-48,Cannon Street Road, London E1 0BH) were purchased. The Madrasah has endeavoured to deliver mother-tongue and Qur’anic classes for children from across East London. On average, an excess of 200 children, aged between 5 and 16, attend our classes (Monday –Friday 5pm-7pm and Saturday and Sunday 10 am to 1pm). The centre has also played a key role in organising and facilitating religious and other activities for the benefit of the community. PRESENT DAY (September 1998 onwards) Since 1998, local parents and community leaders have felt the need to establish an institution where children could not only be educated in their religion and mother- tongue, but also receive, at the same time, a full secondary education in line with the National Curriculum. We were convinced that this would increase the pupils’ self-confidence and greatly enhance their prospects, allowing them to make a far greater contribution to the future prosperity of the local community and to the United Kingdom at large. May Allah (S.W.T.) grant us success in this effort, Ameen.